Born in Portland, Oregon, USA on 4 Feb 1912 to Johan Godfrey Blixt and Mildred Ann McKnight. John Godfrey married Ruth Louise Hargrove and had 2 children. He passed away on 27 Nov 1976 in Molalla, Oregon. 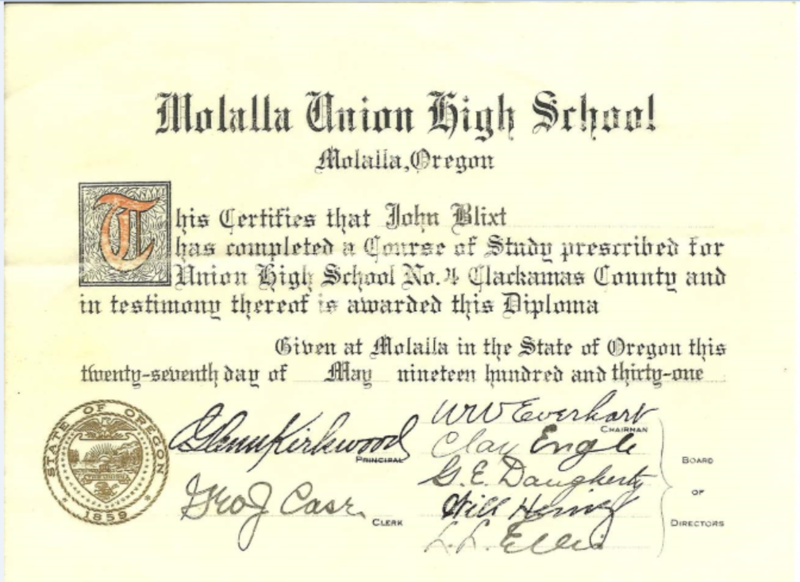 John is buried at the Molalla Memorial Cemetery.